Termite pest control Frisco TX is important for homeowners to consider due to the humid, subtropical climate we experience here in Texas. With mild winters and hot summers and an average amount of rainfall and experience in Frisco provides ample opportunity for termites to flourish. Termites love to live in moist, decayed wooden structures, soil, fallen trees and timber. Since they prefer tropical climates Termite pest control Frisco TX makes them prime stomping ground. One factor leading to the need for termite pest control Frisco TX is that due to development of the area. Clearing out raw land and erecting residential neighborhoods and commercial developments displaces wildlife, insects and pests. Many insects and pests seek shelter and food in residential and commercial properties. There are several types of termites you should be aware of. Size: Termites are usually about ¼ of an inch to ½ of an inch long. However, queen and king termites can reach well over an inch long. Color: Worker termites are normally pale in color and have soft bodies. Wings: Reproductive termites have two pairs of flying wings that are normally predominant. If you’re wondering how big of a problem termites really are, consider that the costs more than $5 billion in damage to American properties each year. And what’s worse, most of these damages are not covered by insurance. The bad news is that all homes, regardless of the way they are constructed, provide a great food source for termites. You see, termites are commonly known as the silent destroyers because of how much damage they can cause to a home without ever making a single sound or being detected. Termites thrive on cellulose-based plant materials. Termites will breed and grow a large colony and silently eat away at the wood structure of your home, causing thousands of dollars in damage. I consent to my submitted data being collected, processed and stored by Safe Pro Pest Control for answering my request and improving the services provided. There are many ways that termites invade homes. They may crawl across your yard to your foundation. If there are any gaps or cracks around wires or pipes, the termites may find these entry points to get in. Damp soil against the foundation from gutters, leaky faucets, etc. It’s important to look around your home to determine whether or not you have termites. There are some telltale signs you can use to do a self-inspection. Termites feed on trees and plants. They get nutrients from the cellulose found in plants and wood. The organic fiber found in these substances are the primary diet of termites. However, termites can also eat material such as drywall, paper and even plastic. The majority of termites love decayed wood, still some feed on living trees. Most homeowners looking for termite pest control Frisco TX are concerned about the damage these insects can cost. Even though they measure about 1 cm to several millimeters long, their strong jaws are made to tear through wood. Since they feed often and grow large colonies, each day, week and month that passes without treatment causes compounding damage to homes each year. Termites can cause damage to the foundation of your home, and even wooden shelves, furniture and books. As a homeowner, it’s very important to do what’s necessary to prevent termites. In fact, it’s probably at the top of your “to-do” list of home projects. 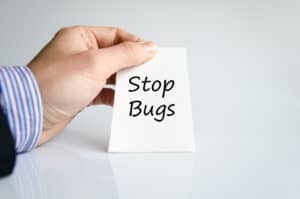 While exterminators know what’s best for prevention, there are some things you can do to help. One task you can take on is changing worn weatherstripping and cracked mortar around basement windows. Preventing termites from entering here can eliminate a host of damage and expenses. For more help and tips on preventing a termite infestation, call Safe Pro Pest and allow them to handle your termite pest control in Frisco, TX.